I am a teacher. Luckily for me, I happen to adore teaching. Teachers have the unique opportunity to continue to learn and grow throughout their lives. As a teacher with a background in music history, with opportunities to teach art, literature, poetry, religion, and culture, I think travel is one of the absolute best things a teacher of the arts can do to enhance his or her understanding of the world. The first-hand knowledge that comes from actually seeing art in context, talking to locals, and experiencing a religious ritual personally is invaluable. For whatever reason, telling a student “I took this picture” or “This is a woman I met in India” or “this is how big this piece of art is” gives a teacher clout. Plus, students need to know that teachers continue to love learning. 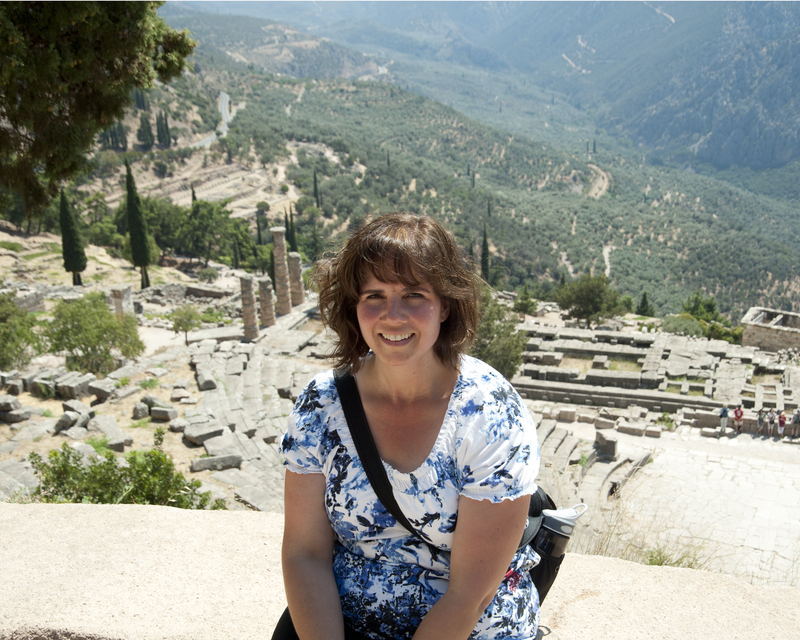 Taking a brief breather while in Delphi, Greece. So much history here. You can feel the ancient roots. 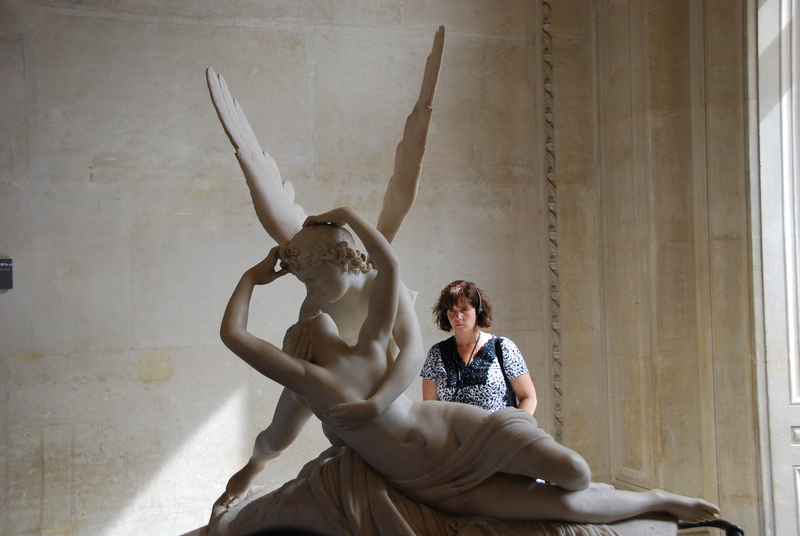 Look how hard I am concentrating while at the Louvre in Paris. It takes all my brainpower to absorb what I can! Unfortunately, we have all had experiences with teachers who repeated lectures verbatim, taught to the test, and were offended when students asked tough questions. Some teachers are afraid to say “I don’t know,” or “Don’t worry about that–it won’t be on the test.” Some teachers seems to have open derision for students, and hardly seem to even like the subject they teach. I don’t ever want to be that kind of teacher. For me, the key to staying personally engaged is to read, travel, and keep on learning. I hope that the enthusiasm I feel rubs off on my students. I don’t want them to leave my classes knowing a few facts. I want them to leave my classes prepared to become life-long learners and students of the world. I want them to be open to new ideas, excited about new discoveries, and anxious to expose themselves to the good the world has to offer. I am a supporter of a liberal arts education with a strong humanities emphasis, no matter what field a student may be interested in. For it is the study of art, music, culture, religion, and literature that ties us all together. It helps us examine the human condition and learn from it. And food. That ties us together too. I’m a big fan, personally. I am so glad my blog was useful to someone! I appreciate you stopping by! It sounds like you are taking control of your life and doing some difficult and amazing things. I wish you the best!